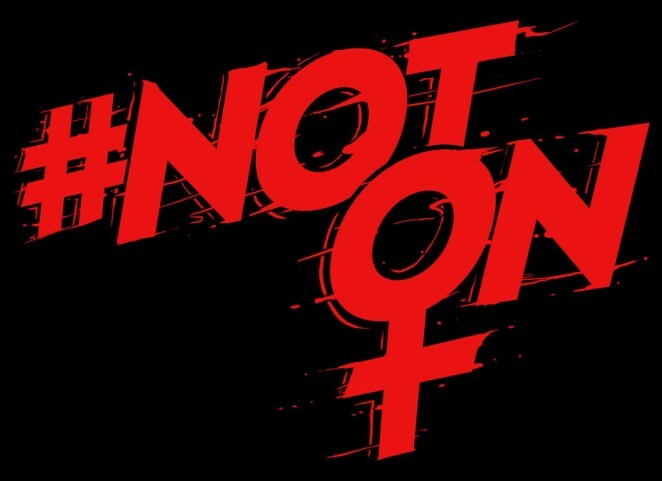 Hundreds of Australian musicians have pledged their support for a national awareness campaign against violence against women. 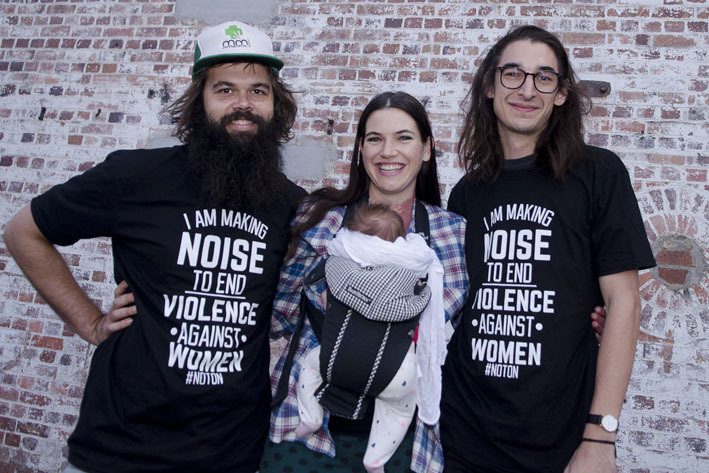 Using their unique platform to make the statement that violence against women is #notON, musicians will be wearing t-shirts supporting the awareness campaign on stages at shows across Australia throughout April with artists as diverse as The Grates, Courtney Barnett, Airling, Urthboy, Boy & Bear, Reece Mastin, Troy Cassar-Daley, Pete Murray, Violent Soho, Katie Noonan and The Choirboys lending their support. WHY THE AUSTRALIAN MUSIC INDUSTRY SAYS IT’S #notON…..
• On average, one woman is killed every week as a result of intimate partner violence. • Domestic and family violence is the principle cause of homelessness for women and their children. • Violence against women is estimated to cost $14.4 billion to the Australian economy per annum. • Intimate partner violence is the leading contributor to death, disability & ill-health in Australian women aged 15-44. • One in five women experience harassment within the workplace. With the support of national charity White Ribbon Australia, the initiative has been born out of the generosity of industry workers, merchandise companies and of course the artists themselves who are all donating their time to make a difference. We found this wonderful video online of Jeff Beck discussing his guitar collection. It comes off the bonus section of Jeff’s 2011 DVD Rock n Roll Party and shows the master guitarist chatting about some of his favourite guitars. WELCOME TO THE 2015 MELBOURNE GUITAR SHOW! Every day leading up to the Melbourne Guitar Show, we’ll be presenting a guitar tip video from one of Australia’s finest guitarists. Today’s video is from Jimi Hocking , who shows us the finger tapping method of playing guitar. TELL US! WHAT DOES GUITAR PLAYING MEAN TO YOU? Leading up to the Melbourne Guitar Show, we’ve been asking guitarists of all levels a simple question … What Does Guitar Playing Mean to You? In this video Nat Allison, straight off the national Suzi Quatro tour, tells us what guitar playing means to her. We now want to hear from YOU! Create your What Guitar Playing Means to Me video and send us the a YourTube link, or iPhone video to [email protected] or to our Facebook page. If we like it, we’ll post it on our website and YouTube channel. In the spirit of Australia’s World Cup cricket win, we fire six quick ones at Melbourne based singer, songwriter, producer and in demand session guitarist Shannon Bourne, who smashes them right back at us. 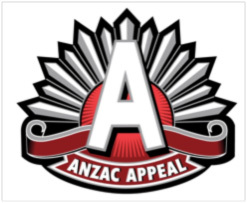 Last April Chris Doheny released the single Gallipoli, an emotional tribute to the servicemen and women of Australia and New Zealand who have fought in many conflicts over the last one hundred years. The song struck a chord with many people who have family ties to serviceman past and present nationwide. On ANZAC Day 2014 Gallipoli was played across Australia (and the USA) throughout the day to a listening audience of over two million people. “The reaction has been phenomenal! All the money earned from this song I am giving to the RSL, so I want to get it out there to as many people as possible. I’m sure that if the public realise the money is going to our returned servicemen and women…they might be more inclined to shell out 99 cents for a single” explains Chris. 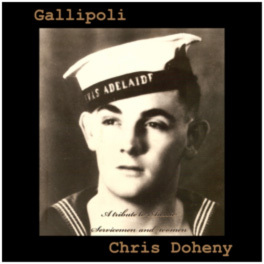 Chris’ full length album DOHENY is available on Diamond Dog Records and features the songs Gallipoli, More Than A Game, and many other songs with Australian themes. 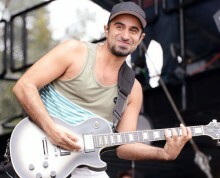 Read the Australian Musician interview with Chris here.